Josh’s basketball team was in overtime and up by one point when the unthinkable happened. His team was down the entire game until the last 5 minutes. They had a string of amazing shots and were tied and sent into overtime. 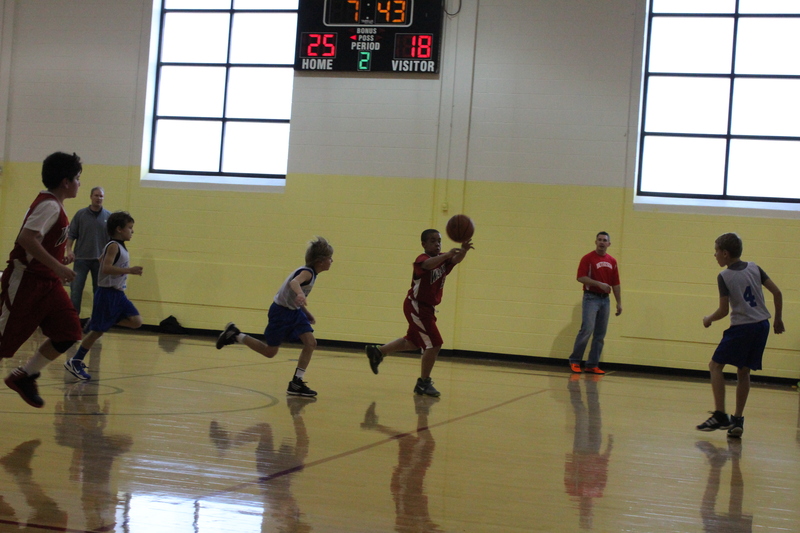 With 7 seconds left in overtime, Josh’s team went up by one. The other team fouled one of our kids but the referee made an error that he did not correct and gave the ball to the other team. All of the fans in the stands could not believe it, including the coaches. The other team inbounded the ball and made a winning shot with 1 second of playing time. Our team lost the game and the season was over. What a heartbreaker! We were all in shock as we left the court. All of the team was in tears and I could not hold back my tears either as I saw the disappointment on their faces. What came next, was the beauty in the moment. We all got in the car and all the kids started cheering for Josh. They all celebrated his unbelievable comeback. They hugged him and made his frown turn into a smile. I was reminded how important it is for our children to encourage each other. Josh forgot all about his disappointment while his sisters danced on either side of him on our way to Baskin Robbins.